After 10 years of UML we have still not overcome the problems of the CASE tools of the 1980ś. Imposing a ”one size fits all” modeling language and generators has not significantly increased developers’ productivity. Domain-Specific Modeling (DSM) provides a viable solution for improving development productivity by moving the focus from implementation concepts to problem domain concepts. 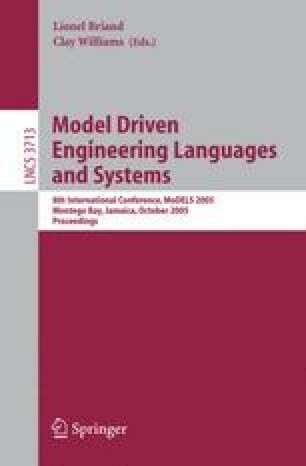 With DSM, a new modeling language is created for each problem domain, with elements representing concepts from the domain world, not the code world. The DSM language follows domain abstractions and rules, guiding developers and allowing them to perceive themselves as working directly with domain concepts. When the domain is narrowed down to fit a single company’s needs, domain-specific code generators can automatically produce full code straight from the models. Industrial experiences of this approach have consistently shown productivity increasing by a factor of 5-10.